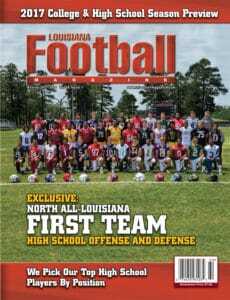 The Evangel Christian Academy Eagles are one of the best teams in the entire state of Louisiana regardless of classification. Last season, the Eagles won a state championship in dominant fashion finishing the season at 12-2 and defeating the Scotlandville Hornets 38-6 for the Division I state championship. The defense received a lot of the credit with LSU commits Davin Cotton, Micah Baskerville, and Ar’Darius Washington on the football team, but in order to contend for championships, the offense must be efficient and have the ability to move the football. The best way to do that is to find matchup problems and to exploit those matchups. That is what the Eagles’ offense does with senior WR/TE Christian Bailiff. Bailiff is a matchup nightmare as he has enough quickness to line up in the slot, but at the same time, he has the size to line up on the line of scrimmage as well as the speed going out on deep routes to catch long passes. Also with a 6-5 frame, he could go up and catch jump balls. Another underrated part of his game is that he is a good blocker to go along with his many other talents. With a new starting quarterback this year at Evangel Christian, the ball has been spread out to the top targets including Christian Bailiff, who has a lot of versatility to his game. 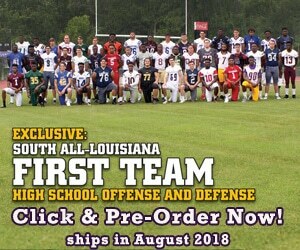 Louisiana Football Magazine’s recruit expert Lee Brecheen believes that Bailiff can be a big time sleeper for a lot of schools if he continues to grow and gain weight. As of right now, Bailiff was already offered by Southern Mississippi and Stephen F. Austin. Not only was he offered by those schools, but he has received some other interests from some other big time schools. Bailiff is a great football player that does a little bit of everything for the team and not only is he talented on the field, but off the field as well. If the Eagles want to go back to the Superdome, they will definitely need the production of Bailiff down the stretch just like last season and it is most likely that they will. In today’s recruit spotlight, we caught up with the All-District WR as he talked about his high school career, his top schools, his interesting hobby, what position he wants to play in college, and so much more! LAFM: Have you been offered by any colleges to play football? If so, what are some of the colleges that have offered you? I have been offered by Stephen F. Austin and Southern Miss. I am not quite sure who else has offered, but I’ll know at the end of the year when I ask Coach, but I know have gotten a lot of interest from Louisiana Tech, Tulane, Texas Tech, Oklahoma State, Texas A&M, and LSU over this season. My dream school is most definitely the LSU Tigers. I’d say my biggest strengths are my ability to go get the ball, and my blocking. Some areas to my game I need to improve on are probably coming out of my breaks quicker and my strength. My biggest accomplishments of my career were last year catching a game clinching touchdown against St Paul’s in the playoffs, and then winning a state championship. This year would have to be going to East St Louis and catching the game winning touchdown on a jump ball to beat them in our season opener. 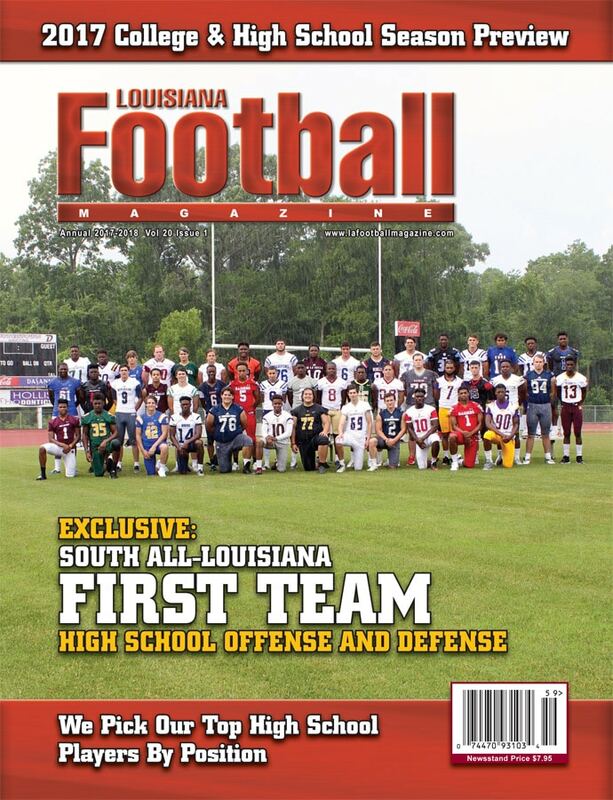 LAFM: What is like to play for one of the more premier football programs in the entire state in Evangel Christian? To play for Evangel is to me the greatest experience a high school football player could have. Our coaches, without a doubt, are the best in the state and our team is such a great unit. Every Friday night is a blast and I’ll remember these days for the rest of my life. 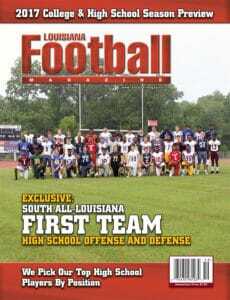 LAFM: Last season, the team had a dominating year winning the state championship handedly against Scotlandville. After barely missing a state championship appearance a year before, how satisfying was it to go back and win last season? To win state was the greatest feeling ever. It was such a heartbreaking feeling the year previous to lose just a game before state when we thought we had the game won. Last year, we came together as a team and had one goal in mind and that was to win state and we were able to accomplish that goal and it was the greatest feeling ever. 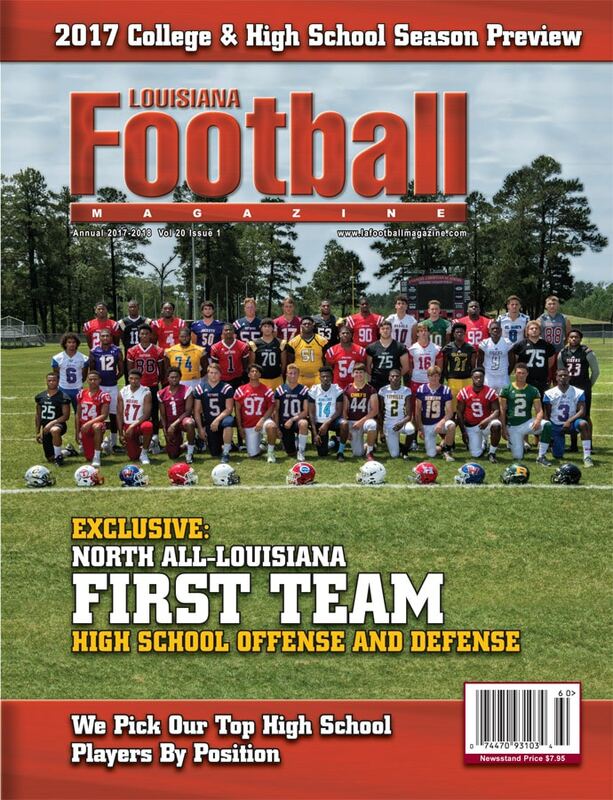 LAFM: Heading into this season, everybody was picking this team to dominate and repeat as state champions. The team lost to powerhouse Allen Texas in the opening week but won every game since. Was the lost to Allen a wake up call and actually a good thing to happen to this team? Allen was actually our second game of the season, but it was our first loss. It was a devastating loss because we had also lost last year, and we thought as a team that we could go to Allen and get it done but we came up short. I’d say it was definitely a wake up call for us and gave us more motivation to not have that feeling of losing for the rest of the year and so far we haven’t since. LAFM: Our recruiting expert Lee Brecheen believes that you can play tight end at the next level if you keep getting bigger. Do you want to stay at wide receiver or do you want to get bigger and move to tight end? I think that my best bet to be successful at the next level is to get bigger and play at tight end. I think I lack some of the quickness that a receiver needs to be dominant, but at tight end, I really feel comfortable and feel like I can be dominant at the next level. I’d really like to play both tight end and slot kind of like Travis Kelce (Cincinnati/Kansas City Chiefs). I’d say my best game of my high school career was against St Paul’s last year, I had about 5 catches for 80 yards and a touchdown. That game was definitely our toughest playoff game and we came away with a win 28-21 in that game. I had the flu and hadn’t eaten anything for two days and the way it all turned out I consider that to be the game where I came up the biggest for the team. LAFM: I heard that you were a pretty good piano player. How did that come about and do you plan on playing in concerts one day? My piano playing started about a year ago. I really like the way it sounds and we have one at the house. I just decided to learn I was able to pick it up pretty easy by ear and just started playing. I don’t plan to play in concerts haha! The biggest stage I’ve played on so far is the nursing home when our team takes mission trips to pray for the sick and give them something to be excited about, but that’s about as far as that will go. My goals for this season are first, win back to back state titles and be able to have two rings on my fingers, and personally get as many offers as possible to be able to play where I feel I fit best. LAFM: What is your message to the Evangel Christian team and the fans for the rest of the season? The message to the team is to keep doing what we’re doing. We’re playing our best football right now and we need to continue to do that as the playoffs are right around the corner. The message to the fans is to just keep rooting us on! Some people in my life that I would like to thank is first off my parents. They have always had my back and support of any decision I make. They’ve never forced me to do anything, and they are the greatest supporters I could ask for. Secondly would be the two coaches I have the best relationship with and that is our head coach Byron Dawson and our offensive coordinator Coach DJ Curry. They’ve put me in the best position on the team, and I know Coach Dawson is fighting every day for each one of his players to play at the college level. LAFM: What is something that you look at when you look at the college that you want to attend? Something I look at is definitely the coaches, the team, and the position that they would put me in to be the most successful to a point where I could possibly play at the NFL level, which is a life long dream of mine. LAFM: What makes you stand out from all the great receivers in this year’s class? I think what makes me stand out is my work ethic. I try to put in work everyday to become the best player I can possibly be. I try to go out every day, do my best in practice, and let that lead to the games where it becomes easy. Previous: LAFM TV 12th Season! Episode 7!